Venture out of the city with trips to Hawaii’s Plantation Village (in Waipahu), Haleiwa (Waimea Bay, Sunset Beach Park, & more) and Kailua (Kailua Beach Park & Lanikai Beach). 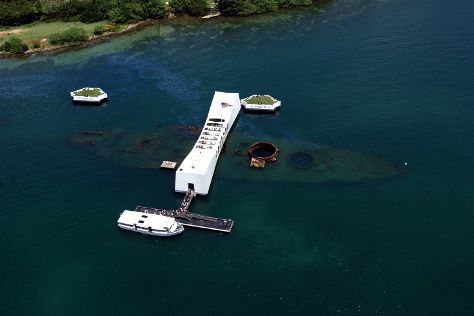 Next up on the itinerary: appreciate the history behind USS Arizona Memorial, admire the majestic nature at Hanauma Bay Nature Preserve, let your taste buds guide you at a local gastronomic tour, and take in the pleasant sights at Diamond Head State Monument. To see more things to do, maps, where to stay, and tourist information, read Honolulu trip itinerary planner. In February in Honolulu, expect temperatures between 81°F during the day and 68°F at night. Wrap up your sightseeing on the 12th (Mon) to allow time to travel back home.